On the first day of giveaways, Still Playing School gave to one lucky reader, a prize basket from Adrienne's Herbals and Brownstone Station Massage & Bodywork! Adrienne is my massage therapist (turned supportive reader and friend) whom I raved about in my Show & Tell feature! 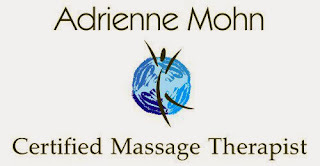 Anytime Santa asks what I'd like for the holidays, I tell him a gift certificate for a massage with Adrienne Mohn at Brownstone Station Massage & Bodywork! I want one for Christmas, Valentine's Day, Mother's Day, Easter, and my birthday, too, please! Now Adrienne has created an aromatherapy business where she handcrafts her own herbal body scrubs, essential oil blends, herbal compresses, body oils, lotions, and more! This prize basket includes Adrienne's Herbals Aches and Pains Salve, Citrus Lavender Body Scrub & a gift certificate for a 30 minute massage. 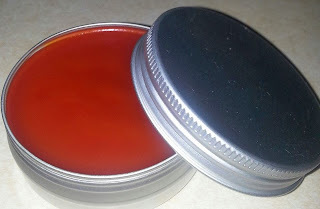 The salve is non-petro based and all natural with ginger, cayenne and menthol in an organic refined coconut oil base, perfect for your sore muscles after all the shopping you just did today! The scrub is the perfect addition to any relaxing yet rejuvenating bath or shower. You will probably want to keep this prize basket aside for yourself during the craziness of the holidays (or after) but I suppose you could also give it as a gift (or divide it into three gifts)! Enter below, share with your friends, and return back for the next 11 days of giveaways with us! I love almost any scents (minty, vanilla, etc) I have to avoid flowery smells due to allergies but enjoy about any other. And a massage?? It's been y e a r s since I had one!!! Lavender. I am a HUGE lavender fan! You know I am a Lavender girl!